Before we get into the review of the watch, there’s a small quibble we have with the name of the watch. It seems like Fossil took William Shakespeare’s famous line “What’s in a name” to heart. Q Venture HR is a slightly complex name for a watch. Now that we have got that out of the way, let’s talk about the smartwatch. Fossil – unlike Apple or Samsung – is a traditional watch brand and hence it claims to have an edge over others when it comes to design. Our review unit of the Fossil Q Venture HR smartwatch came with a smooth finish 40mm stainless steel case and an 18mm Grey-White combination silicone buckle straps that is interchangeable. Buyers can choose from various strap options — from steel mesh bracelet to leather straps — that too in multiple colours with an additional price ranging from Rs 1,995-Rs 3,495. As for the casing, there is an alternative available in the form of jewel studded design. On the right side, you get three physical buttons. In the middle is a crown that will help you navigate through menus, while the other two can be programmed to access different menus. On the rear side, you will find the heart rate sensor encircled in the charging port on a Black colour smooth surface with Fossil branding on the top. Among all the design options available in the Fossil Q Venture HR smartwatch, ours was probably the most simple looking model, but will appeal to those who like their watches classic and elegant. As for other buyers, who like to make a statement with their wearable, have the option to for the jeweled dial. The Fossil Q Venture HR smartwatch comes with a 1.19-inch AMOLED display that offers great sunlight visibility. 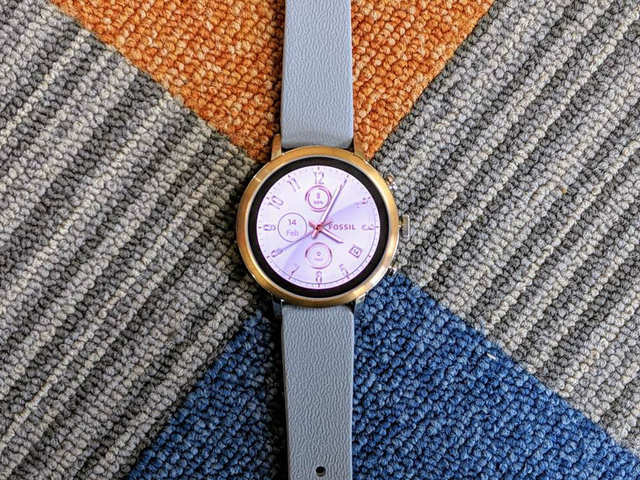 Users get over 30 pre-installed watch faces and also have the option to download more through the Wear OS app or the watch itself. Over that, with this watch, there is also an option to make your own watch face using your favourite Facebook or Instagram photos. However, do that at your own peril, going by Facebook’s recent track record of hacks and information being leaked. In our time with the smartwatch, we found that the touchscreen worked smoothly and we did not encounter any issues with it while navigating. There is a 3mm black bezel on the display, but that can be hidden with a dark colour watch face. Use a light watch face and the bezel is quite prominent but shouldn’t bother too many users. Running on WatchOS from Google, the Fossil Q Venture HR smartwatch offers a quick, clean and smooth user experience. It comes powered by Qualcomm Snapdragon 2100 processor paired with 4GB storage — which is enough to make it function smoothly, despite one adding a lot of apps. To access the main menu, one has to press the crown once, which opens the list of apps that can be navigated either with the rotating crown button or simply by swiping. On swiping down, smartphone like shortcuts for apps appear that may be needed to access to features like Google Pay, Settings and more. Swiping left takes you to Google Fit, while swiping right takes you to Google Assistant. As part of Google Fit, the Fossil Q Venture HR smartwatch offers steps and distance tracker and calories burned. It calculates your ‘Move Minutes’ which is nothing but number of minutes you were moving instead of sitting. Other than that, it calculates ‘Heart Points’ for activities such as walking or running that basically will get your heart pumping harder. Users can monitor their progress on their Google Fit app on their smartphone. Other than these fitness features, the Fossil smartwatch comes with support for smartphone notifications, automatic shift in time zone, weather forecasts, stop watch, setting an alarm and more — all of which worked perfectly in our time with the device. One of the USPs of this watch is its heart rate sensor. The wearable device is programmed to take a reading every half hour. Alternatively, you can also choose to measure the heart-rate manually throughout the day instead, to save battery. Users can track their workout by selecting from a wide range of activities such as CrossFit, aerobics, yoga and more. But on the downside, you have to select this manually. We would have appreciated the gadget more if it came with automatic workout detection as in Galaxy Watch or Apple Watch. But in case you forget to select it, it’s okay. We tested the smartwatch during a high-cardio workout session and were able to keep an adequate track of the calorie count and steps burnt even without selecting the workout routine. There is also a built-in GPS in the Fossil Q Venture HR smartwatch, which means you don’t need to carry your smartphone with you to track for activities such as running, hiking or cycling. 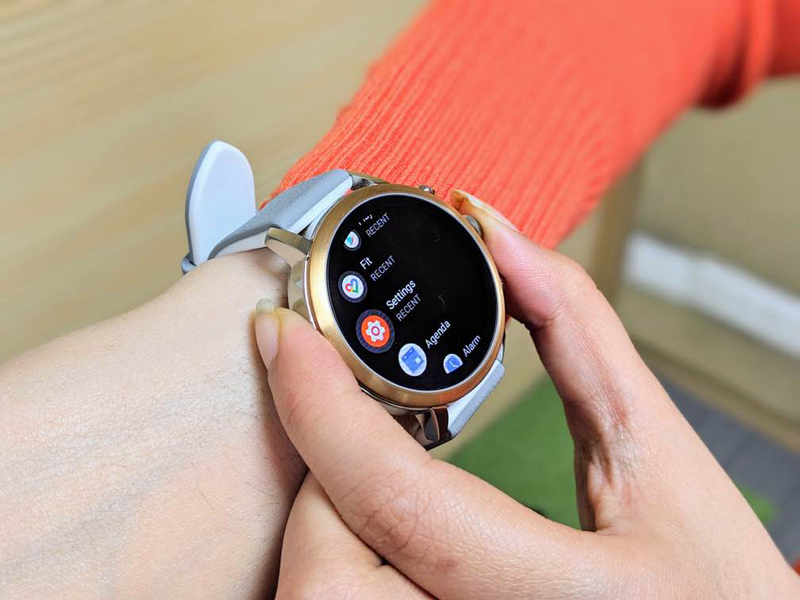 When you check the connectivity specifications of the Fossil smartwatch you will see that it is compatible with Android — specifically with Android OS 4.4+ (excluding Go edition) — and iOS 9.3+. But in our experience, we were not satisfied while using it with an iPhone as some of the features just didn’t work. We even faced difficulty in accessing notifications when connected with an iPhone. For best results, we recommend you use it with an Android smartphone. The Fossil Q Venture HR has a claimed battery life of 24 hours. However, in our usage, the smartwatch lasted 8-9 hours in average. The battery performance of the smartwatch was definitely disappointing, especially when there are others that are actually offering up to 24 hours of backup. We spoke to Fossil about the less-than-acceptable battery life and they recommended that we alter our settings from receiving all notifications to only the important ones and also put the device on battery saver mode to stretch it for some extra time. 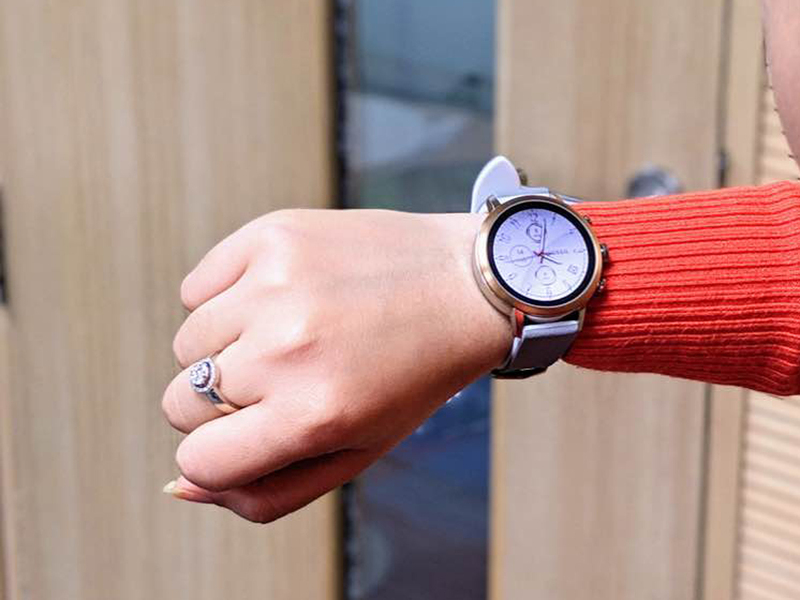 Fossil claims that it will take one hour to charge the smartwatch up to 80%. When we put this to test, the device was charged 70% in an hour, which is quite decent. Like we said at the beginning of the review, the smartwatch space in India is quite complex. Either users are happy with fitness bands that don’t put a hole in their pocket or are willing to pay a premium for something like an Apple Watch. In isolation, the Fossil Q Venture HR has a lot going for it. At a price of Rs 19,995, the Fossil Q Venture HR offers a host of features — activity tracker, heart-rate tracker, LED flashlight, weather updates, music storage and more. It is also water resistant up to 30m and is said to have passed a 10,000-stroke swim test. 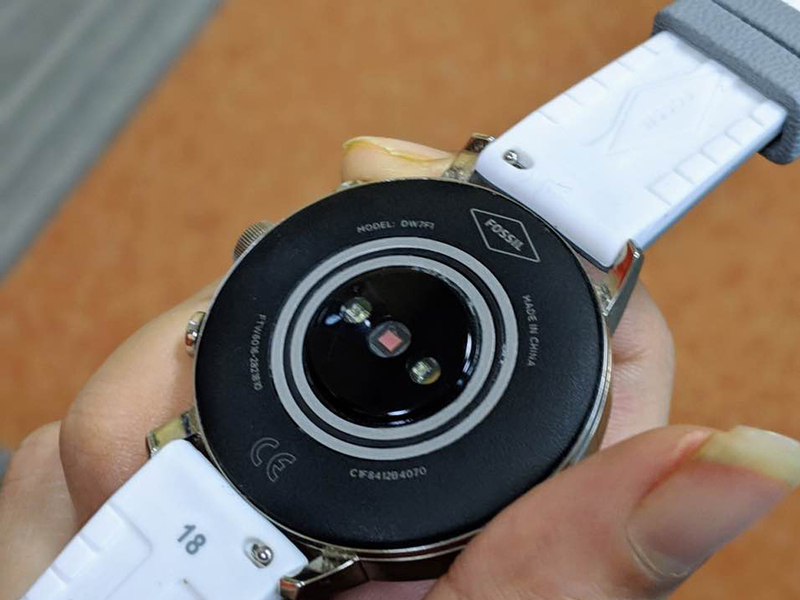 Having said that, there are a few problems we faced with the smartwatch. The Fossil Q Venture HR seems to have a traditional soul in the body of a smartwatch and that’s what goes against it. There is no sleep tracker in the smartwatch and you cannot install it also using any third-party app. Sure, there is a microphone but it does not support answering calls. You can use it to ask questions or say commands that the smartwatch will provide read outs of responses, but cannot audibly answer your requests. Also, the manual selection of the physical workout is a bummer as the device is not capable of automatically tracking it — another feature that the competition offers. Fossil may be a force to reckon with in the watch market but when it comes to smartwatches, it has a long way to go. Compare it with the Galaxy Watch from Samsung – which comes in the same price bracket – and you’ll find a lot more in it. Apple, which is the market leader, has a far superior product and considering that the Apple Watch 3 now retails for close to Rs 28,000 and offers a lot more. If traditional watch brands want to plug the gap between haves and have nots, then they need to do more. A lot more.